Cunningham Covers are the leading specialists in effective and eye-catching mobile outdoor advertising solutions for businesses and agencies nationwide. We provide mobile advertising solutions for companies all across the UK and Ireland. 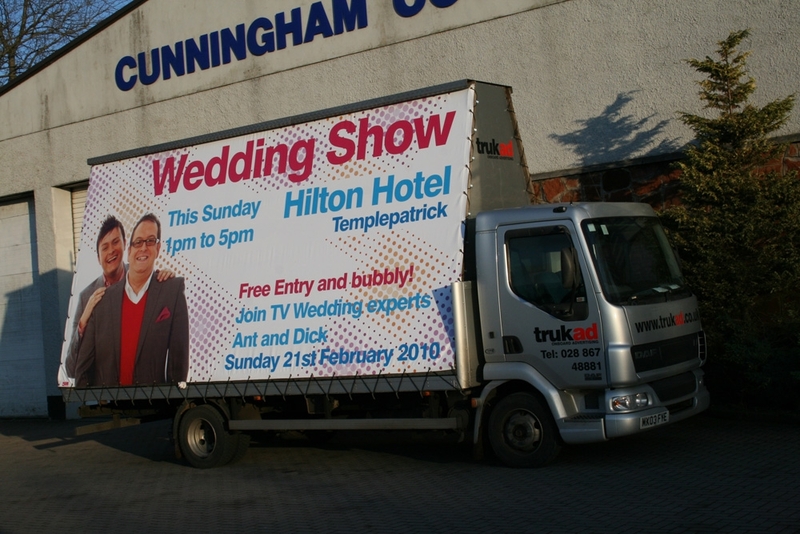 A-Trailers with large printed advertisements are a simple and effective way of high-lighting an event, a location or a product. 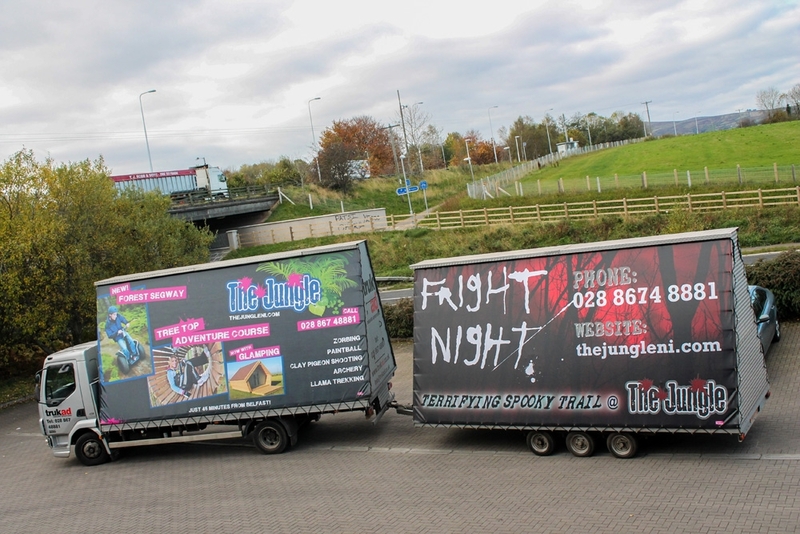 Mobile advertising trailers are used to promote shopping centres, launches, television programmes or just about anything! Being completely mobile your advertisement can be taken to high profile locations where your audience is. Favoured locations include main routes into towns, busy carriageways, high streets, retail parks and shopping centres. It's a fact that when faced by a large 20ft x 10ft advert, people will see it and read it! Cunningham Covers will print to your precise requirements. Most customers prefer to use ordinary poster paper which they can then paste on to their A-Frames. For a longer lasting solution, some customers get us to print on vinyl mounted onto correx board and covered in a protective film lamnation. For a flexible and handy to store option, we can print directly to 500gsm PVC which can then be stretched directly unto the A-Frame trailer with ties and eyelets.